"Hunthay Farm was originally a dairy farm but has now moved on to beef production. Our farming activity is based on grass and crops. We have also diversified our business by offering high-quality self storage and business units in newly renovated facilities." 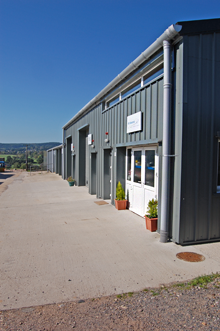 We are able to provide a range of industrial units, workshops and quality self storage solutions for our happy customers. - Ideal for personal, business, professional, commercial and domestic use. - Good security with CCTV and owners living on site. - Conveniently situated near Axminster, in East Devon. - Easy ground level access.